The summer always comes with a flurry of birthdays in quantities too vast for me to make cards for everyone (at the moment, in any case). However, I did manage to make three for some members of my family. First up is a sort of 3D-present-with-ribbons card which I made for my sister-in-law. I’m still making my way through the Hobbycraft card selection, which I’ve used for all the cards – this one used a pink one. Next, I cut out a square from a sheet of the Papermania: Rose Garden set, and used some adhesive foam pads to set it out from the card. I put a couple of ribbons through (cut out of new clothes) and then used the October Afternoon: Boarding Pass stickers to spell out ‘Happy Birthday’. 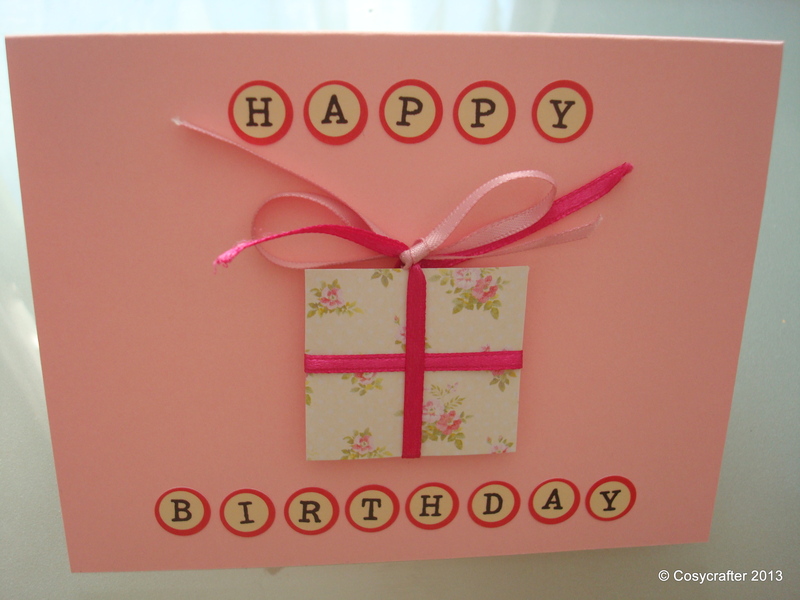 Posted in Cards and tagged beads, birthday, craft, fabric, handmade, paper, ribbons. Bookmark the permalink. 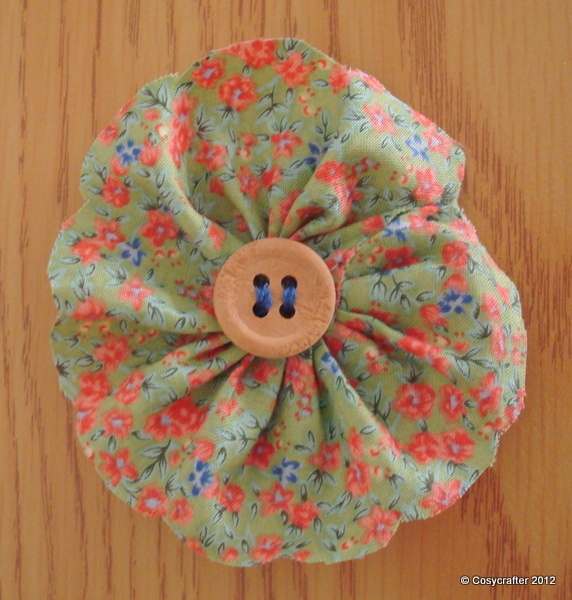 I had a day where I thought ‘I really need to make fabric flowers’, you know, like you do. Anyways, I found my box of fabric scraps and started messing around with gathering bits of materials and sewing them together. 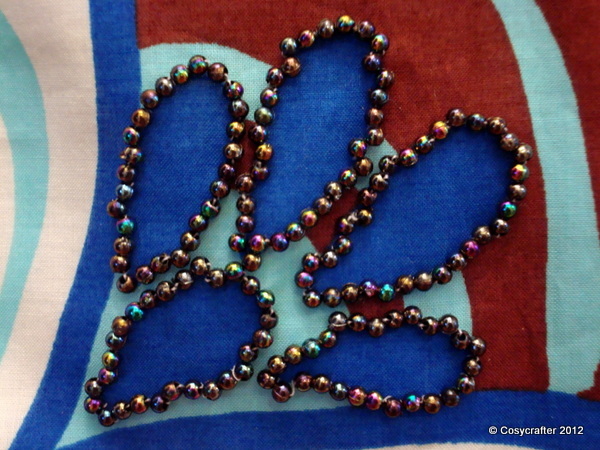 Posted in Flowers and tagged beads, book pages, craft, flowers, handmade, sewing, t-shirts. Bookmark the permalink. I made two wedding acceptance cards for friends Jemma (The Embellished Elf) and Ross, and Clare and Neil using book pages again. 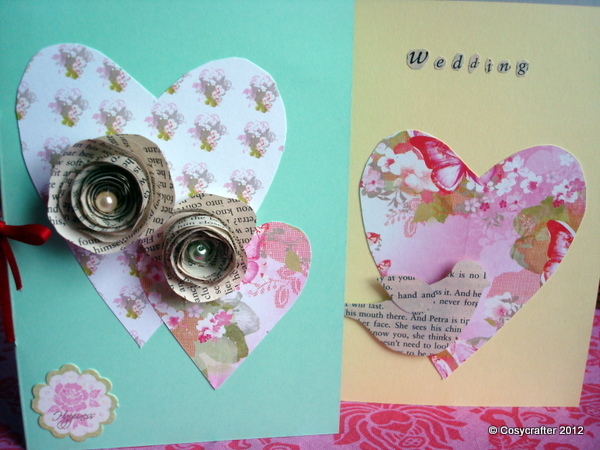 Posted in Cards, Wedding and tagged beads, birds, book pages, card, craft, flowers, handmade, paper, ribbons, wedding. Bookmark the permalink. For my mum’s birthday, I put together a couple of gifts – a brightly patterned cushion and a bracelet. On the cushion I picked some details on the fabric and went round them with different coloured beads. Posted in Cushions, Jewellery and tagged beads, bracelet, craft, cushions, d.i.y, gifts, handmade, jewellery, sewing. Bookmark the permalink.